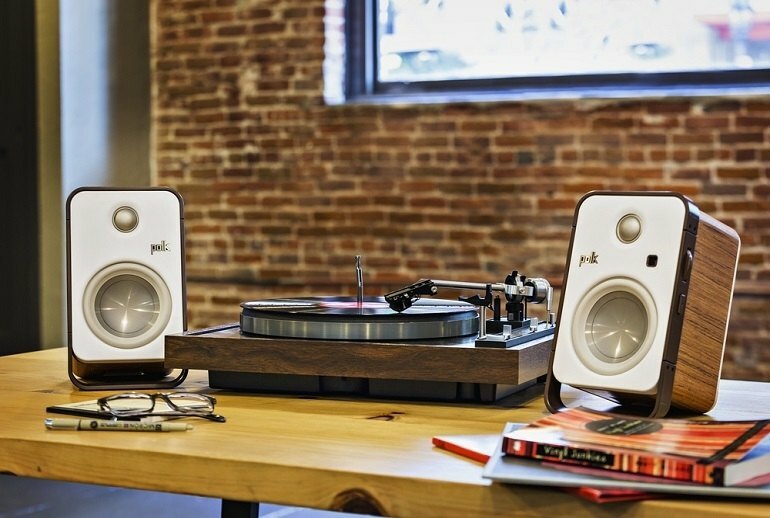 The Hampden speaker set delivers rich, textured sound. It adds a cool, vintage element to your desktop. There's some distortion at the highest volumes. These are a little large for a crowded desk. 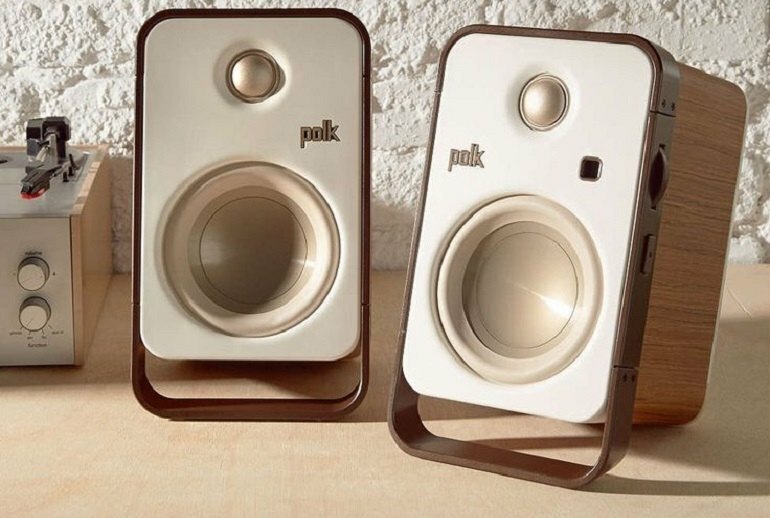 Polk's Hampden speaker set combines a retro design, which harkens back to its speakers in the '80s, and cutting-edge technology. The speakers each have a 1-inch silk soft-dome tweeter and a 4.5-inch composite polypropylene woofer. Each driver and tweeter is driven by its own dedicated amplifier. 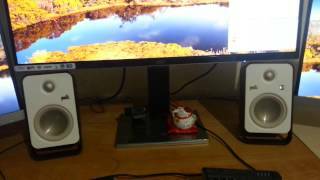 The speakers also include an internal digital-to-analog converter to improve upon the DAC included with your PC. 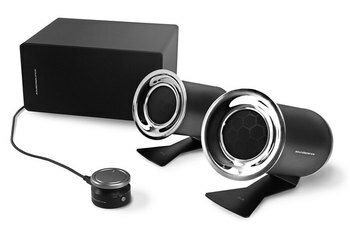 These speakers are Bluetooth ready but also feature wired connectivity through USB and 3.5 mm auxiliary ports. 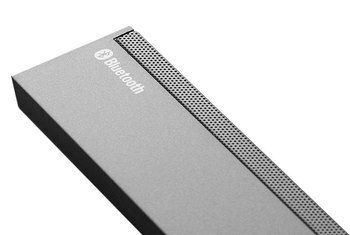 The laid back angle of the speakers is designed to send sound straight to your ears. With versatility and a golden sound, Polk’s Hampden speakers hit the sweet spot of the desktop genre. 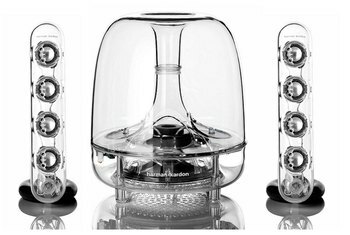 Now here comes the cool part: this is a powered speaker with no internal crossover; rather, each driver is served individually, as the included amplifier has four channels (to feed a pair of speakers). At normal-to-high volumes and for most music styles, it's an absolute joy to listen to, and always nice to look at. 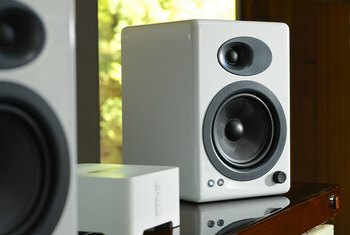 I’ve heard speakers that sound a bit more open, but honestly, there are no serious issues with the mids or treble. That’s pretty impressive. 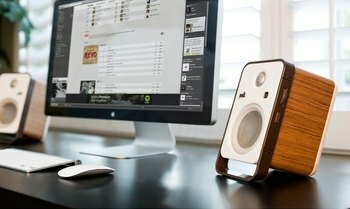 Controls are laid out logically on the right side of the right speaker and are very intuitive. 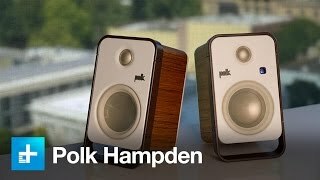 Polk Audio’s latest, the Hampden Bluetooth speakers, are a delightfully attention-grabbing, retro-looking option. The Polk Hampden sound amazing. These are two-way speakers that use a 4 1/2" polypropylene woofer and a 1" silk tweeter to put out some surprisingly rich, high-quality sound.